Sydney fascinates with so many different facades: bustling city streets, calm suburbs, old buildings, harbor views, and beaches. Have any other recommendations? Don’t hesitate to comment! Walking over the harbor bridge gives you a birds eye of the opera house and the city. You will stand there in awe! I promise. The metal construction is fascinating itself and gives you lot’s of natural photo frames to play with. I spend also some time walking under and around the bridge on each side and were lucky to watch a group of people climbing it. Really shows how small we humans are in comparison! By the way: I heard that climbing the bridge is one of the best touristy things you can do in Sydney. I suggest walking over the bridge late in the afternoon – to see the sunset on the other side. Buy some food from the supermarket or one of the takeaways and sit by the water to watch the natural spectacle. If you up for more exploring go to the closeby Luna Park for some great photo motives and street shots. Take the ferry back to Darling harbor for a perfect day out exploring. If you have just one day to spend in Sydney – you probably would like to spend it walking around the harbor, do some people watching and take in the probably most known tourist attraction – the Opera house. 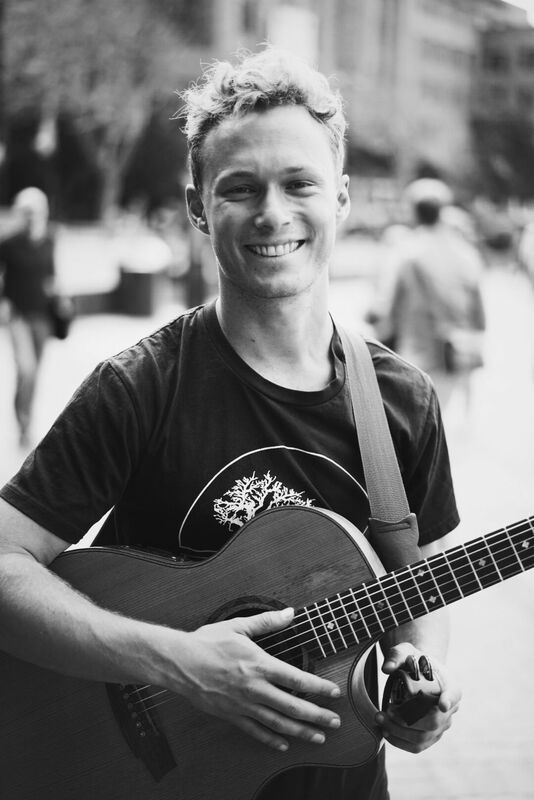 With luck, you can get some shots of great street musicians (I met incredible Sam McMahon) and observe some photoshoots of wedding couples taking place. If you walking to the right towards the harbor bridge, make sure you spend some time walking around the old part of Sydney, the Rocks. I really enjoyed walking through the botanical garden. If you start on the left side of the park and stroll towards the Opera House you get some uncommon views. Also, it is a great place to chill and escape the city stress for a while. By walking further around the Opera House to the Garden, you get rewarded with sea views and the cool shadow of big coastal trees. 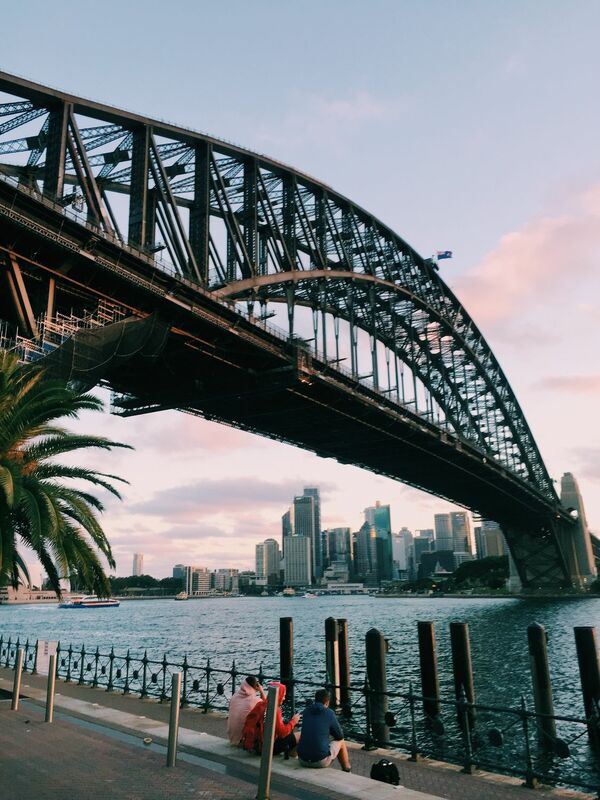 If you have a couple of days in Sydney and you would like to do something not very touristy, I recommend that you have a look at the AirBnB experiences that are happening. I took an awesome drone flying class with Chris (check out his blog We The Food Snobs). 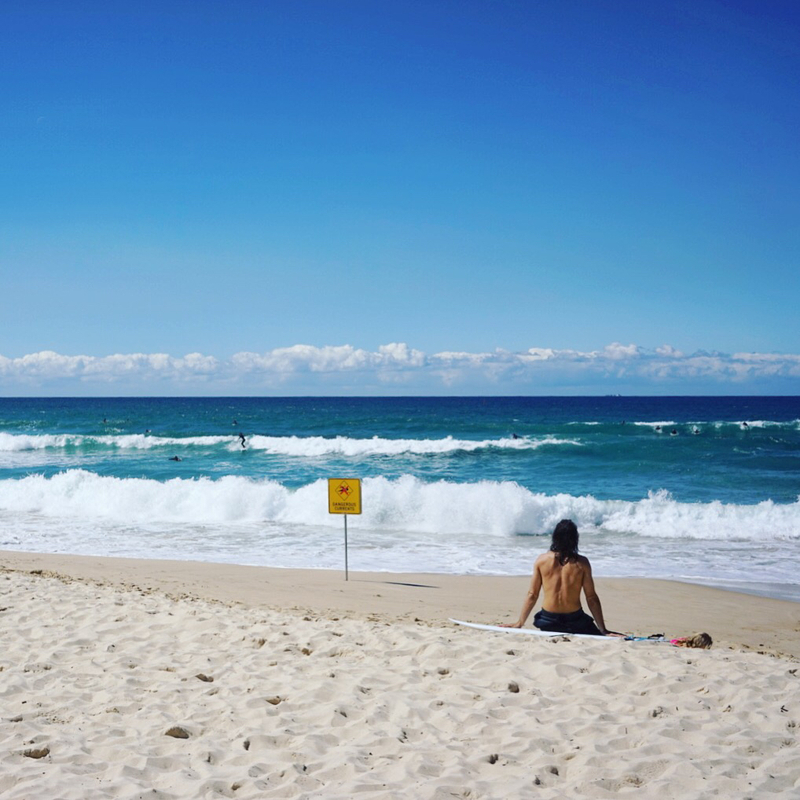 Even if you don’t take a class – visiting Manly is a great way to spend a beach day in Sydney. 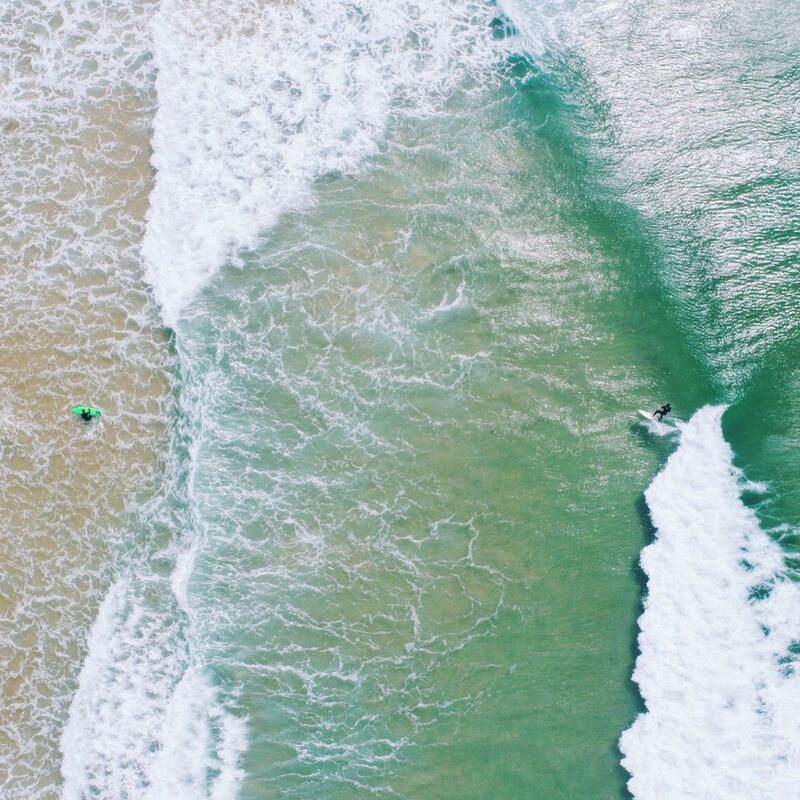 This place has small-town feeling and you can watch waves, surfers and go for a swim. The ferry ride to Manly gives you also a great opportunity for the best timelapse of the harbor. And if you like me – always on the lookout for the next creative adventure I can also recommend a Work-Shop class! I took an introductory course for brush lettering hosted by Alena Tsarkova (check her Instagram). The workshop building in Sydney (they have different classes also in Adelaide, Melbourne, Brisbane) is in the Redfern district with lots of street art around. It’s worth checking out the place a little before your workshop starts. When you think of Australia – what do you think of? Besides the red sands of the Uluru and the Opera House, I would guess: wonderful beaches? That is so great about Sydney. It feels so different around every corner – with city life and beaches to choose from. If you looking for a foody + beachy day out – visit Bondi beach and walk the coastal path to Bronte beach (or if you have time walk all the way to Coogee Beach, you will pass the cemetery with the best view 🙂 ). Get some fish and chips (or take a sandwich) for lunch, enjoy some people watching, waiting for the perfect wave to catch this ocean pool Instagram shot. Use the google maps to search for the best bus connection back to the city center. Ask the bus driver to shout out the station, if you are unsure or use the map to follow the route. And take a windbreaker jacket with you (the ocean wind can get quite cold even on a sunny day).